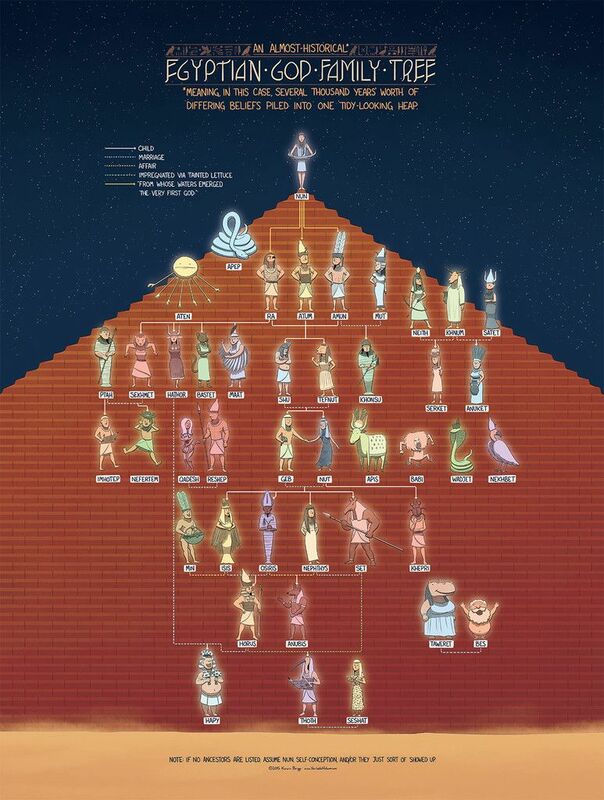 There are many representations of Ancient Egyptian Deities family trees. Here I am showing you just one of many and it contains most of the ancient gods and goddesses. I have enjoyed bring you more information this past week on the Ancient Egyptian Pantheon. If you would like to do more exploring on your own especially for the gods and/or goddesses not presents in the articles here are two very informative sites you should look at Ancient Egypt Online – Religion in Ancient Egypt: The Gods and Goddesses and/or Ancient Egypt Online – The Ancient Egyptian Gods Both links also have other information about Ancient Egypt you may find interesting. The sun god Re, or Ra, was the predominant deity in ancient Egypt. 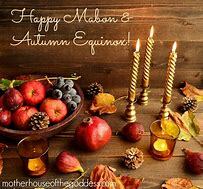 The young sun god begins his dawn voyage in his boat over the ocean of heaven, is full-grown by the moment of the high-noon sun and sets in the west as an old man, the god Atum. By the time of the fifth dynasty, pharaohs were considered to be the divine, direct descendants of the sun god and they built cities and temples to emphasize their divinity. 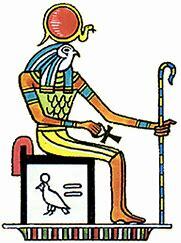 Egyptians were polytheistic, with Ra holding pride of place as the chief deity. But Amenhotep, royal consort of the legendary Nefertiti, belonged to a cult that believed the sun god created himself and then brought about the rest of creation and the other gods. Amenhotep embraced monotheism, smashed the idols of the other gods and regarded himself as a distinctive son of Ra, also known as Aten, the “Great Disc” of illumination. The pharaoh built a new capital, a city called Akhetaten, and changed his name to Akhenaten in honor of Ra. When he died, Tutankhamen, his successor, was faced with a catastrophic economic collapse and severe unrest, partly attributable to the suppressed traditional religion. King Tut restored the rest of the gods to their temples and to active worship and Akhetaten was abandoned, eventually buried under the desert sand. Ra is the ancient Egyptian sun god. He is the father of the gods and is usually depicted with the body of a human and the head of a falcon. Ra (pronounced ray) represents sunlight, warmth and growth. It was only natural that the ancient Egyptians would believe him to be the creator of the world, as well as part of him being represented in every other god. The ancient Egyptians believed that every god should illustrate some aspect of him, while Ra himself should also represent every god. Ra was usually depicted in human form. He had a falcon head which is crowned with a sun disc. This sun disc was encircled by a sacred cobra named Uraeus. 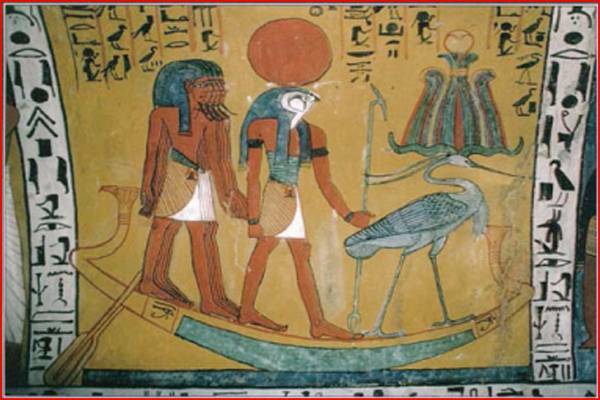 Ra has also been depicted as a man with the head of a beetle and also a human man with the head of a ram. The ancients also depicted Ra in full species form such as a serpent, heron, bull, lion, cat, ram, hawk, beetle, phoenix and others. His main symbol, however, is the sun disk. To read the rest of this article please click on the blue name of RA at the beginning of this post. 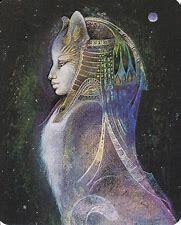 While there are many lion gods and cat goddesses in ancient Egyptian religion, Bastet is the only god or goddess represented as a domestic cat. 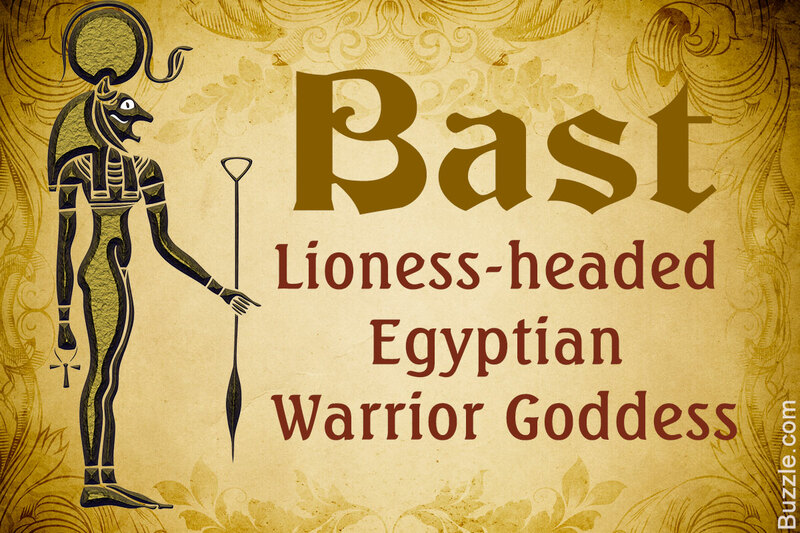 Considered as the goddess of warfare in Lower Egypt, ‘Bast’ was known as ‘Sekhmet’ in Upper Egypt, who was also a lioness deity of warfare. However, during the Third Intermediate Period and by the 22nd Dynasty or Bubastite Dynasty (945-715 BCE), this goddess began to be depicted with the head of a cat instead of a lioness. 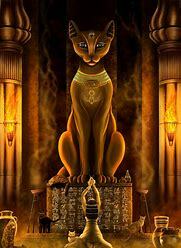 Additionally, she came to be known as ‘Bastet’ a powerful protector deity. Bastet, or Bast, was a cat goddess and the patroness of pregnant women. She loved music and dance which made her festival at Bubastis one of the most popular festivals in Egypt. According to records, her festivals had as many as 700,000 attendees. 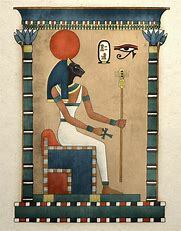 The Egyptians regarded Bastet as the personification of the sun’s beneficial powers. Her depictions show her as either a woman with a cat’s head or as a cat and people mummified cats in her honor.